Grace Carter is a 21 year- old singer songwriter who happens to also be a total babe. I recently had the pleasure of hanging out with her at her record label Polydor here in London. Dressed in denim head to toe (her statement look she says she was rocking it before it was cool too… ) with her hair snatched back in a ponytail and glowing skin she is pretty in such a natural way in person. Straight away her vibe is friendly and super fun almost like a mate you haven’t seen for a while. We gossip skincare, fashion and music before we hit record and our official chat begins. 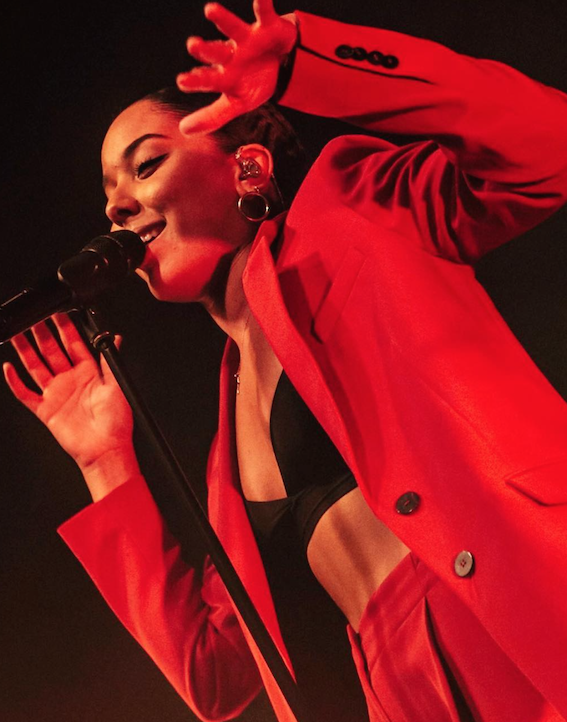 Grace has been writing songs since she was a teen now only 21 years-old she is managed by the same gang that look after Pop superstar Dua Lipa and another rising star Col3trane. What’s special about Grace is her writing skills, she knows how to write a song that truly connects and is timeless. Listen to her new single “Why Her Not Me” straight away you think she’s talking about a guy but it’s actually about her dad. Here is a young woman that truly is putting her heart on her sleeve and letting the world hear her real story rather than one with filters and perfection. I find myself already thinking how amazing she will be in 2 years when she has spent more time touring, recording and experiencing life, the stories she will write about. She writes in a way I do with my diary, being fearless with her emotions and not sugar coating anything, which is so brave! She also reminds me of the positives in life, she is such a fun super sweet person when you are around her. Grace is like this big kid being playful, silly and not being defined by the pain she has suffered as a kid. She has instead chosen to take the love her mother, step father and friends have given to her to switch anger and pain into something beautiful through music. We spoke about so much stuff including her debut headlining UK tour which she is super gassed about. Her friendship with Dua Lipa, Mabel and Jorja Smith alongside her love for life right now. Enjoy!